Siamese Dream is one of those iconic albums from my youth. I remember my friend Rachel dubbing a tape of it for me in middle school. I liked the music, but I was never a huge Smashing Pumpkins fan. I think I resisted their popularity a bit and when living in the modern moment, it’s easy to dismiss things for that reason. I hadn’t listened to this album in years, but I figured I should buy the CD, since indeed it had been such a part of middle school and high school for me. Now that I’ve listened to it a number of times, I get it. It’s an amazing album. 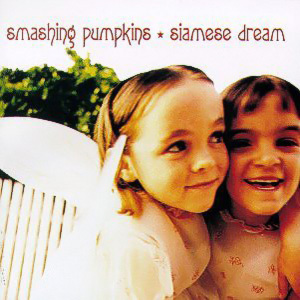 The guitars on Rocket, the balladry of Disarm, the obvious shoegaze influence of many of the songs, they make Siamese Dream still listenable almost 20 years later. The nostalgia I feel probably is part of it, but certainly not all of it.